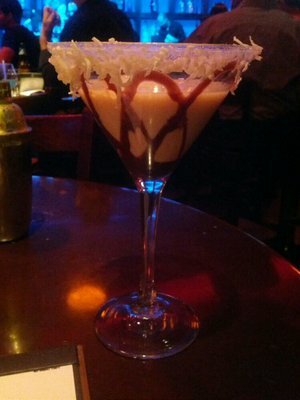 The Almond Joy Martini is one of the famous scotch recipes, but since I don't prefer alcoholic cocktails for liver health, I tried my own recipe. You may try it for your kids and even parties, if you see it not suitable for the Halloween Eve. 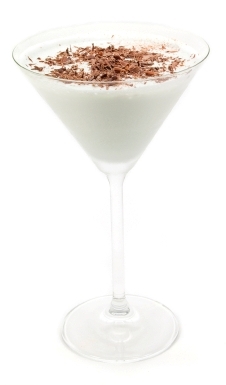 The Almond Joy Martini recipe depends on making a scotch that has the same taste of Almond Joy candy. I think the varieties should be broadened, and that's what I'm introducing. Before starting, you may bear in mind that your own creation may not look like the photos, but it will surely taste as good as you ever desired. Use coconut water, coconut milk, vanilla cream, and hazelnut or almond syrup as basic ingredients. Start making varieties in taste using chocolate, coffee, fruits or anything else that you desire. I prefer chocolate cream, Irish cream and coffee cream. 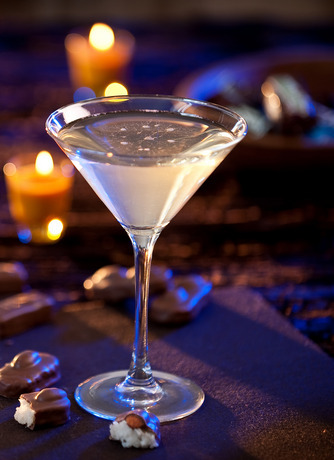 For a healthy option, go for a light drink that contains the basic ingredients with a dash of fruit juice. For a more creamy texture, mostly needs for kids parties, use more vanilla cream, coconut water, coconut milk, almond milk, grated white chocolate. You can reverse the recipe for a black chocolate drink, and in this case use grated dark chocolate, cocoa powder, chocolate cream, a dash of vanilla syrup and coconut milk. These two drinks are mostly suitable for kids and teens as they contain too much cream. 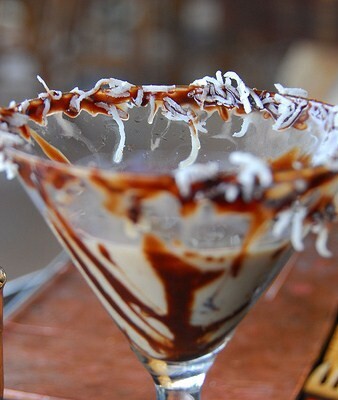 For decorating the glasses, you can coat the edges with fruit syrup and white/dark chocolate powder, brown sugar, or chocolate syrup and shredded coconuts.